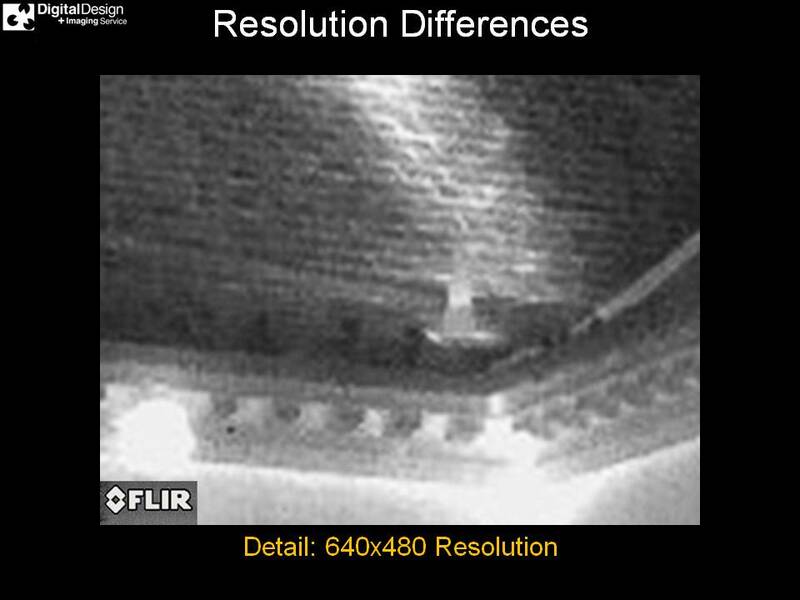 Using the highest commercially available resolution infrared camera, Digital Design & Imaging Service can effectively provide a thermal audit of the exterior envelope of a building. 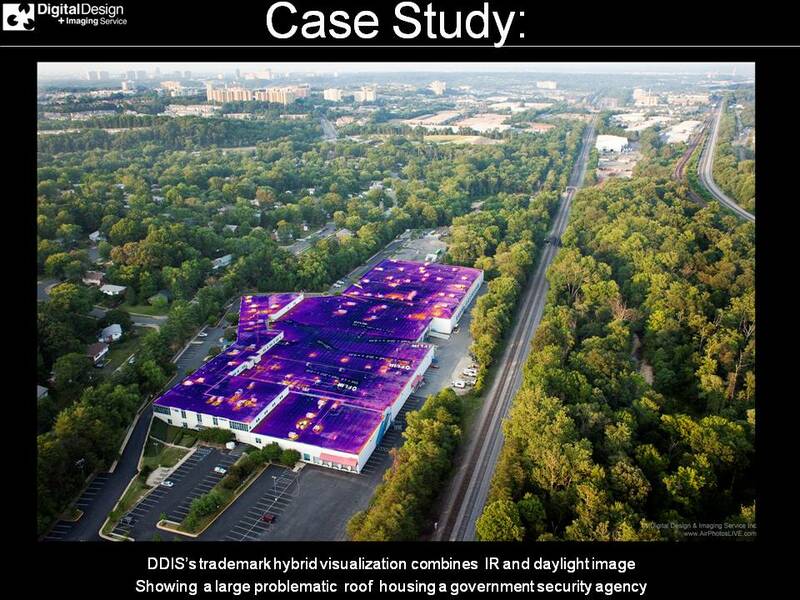 By using drones, aerostats, or manned aircraft, DDIS can provide a quick, safe, and cost-effective means of capturing high-resolution, radiometric, IR imagery and data. 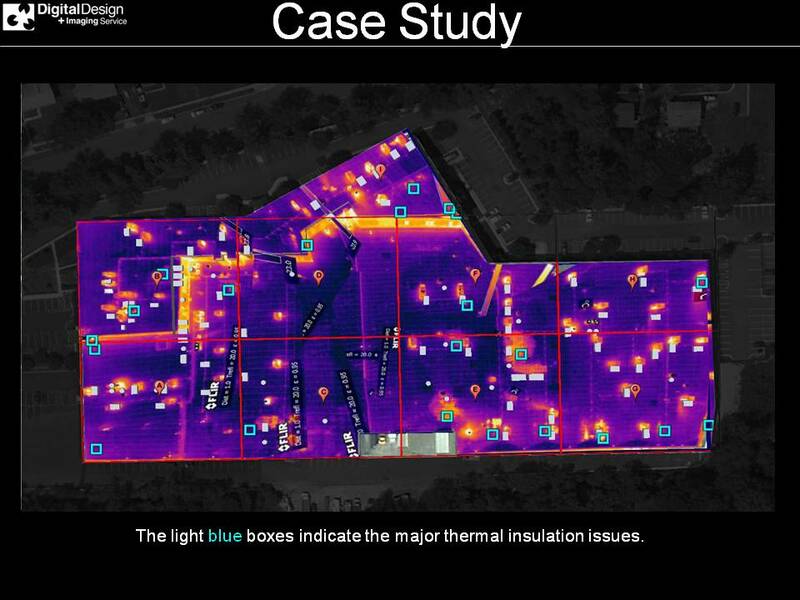 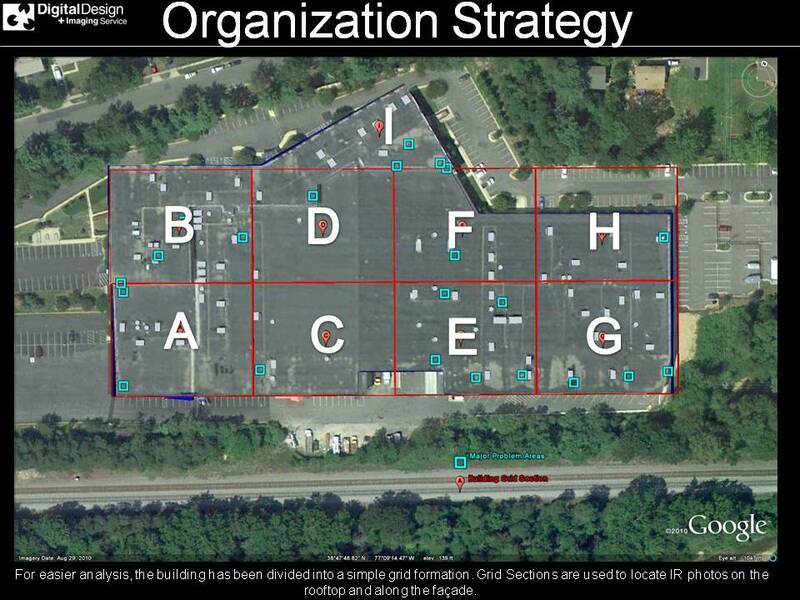 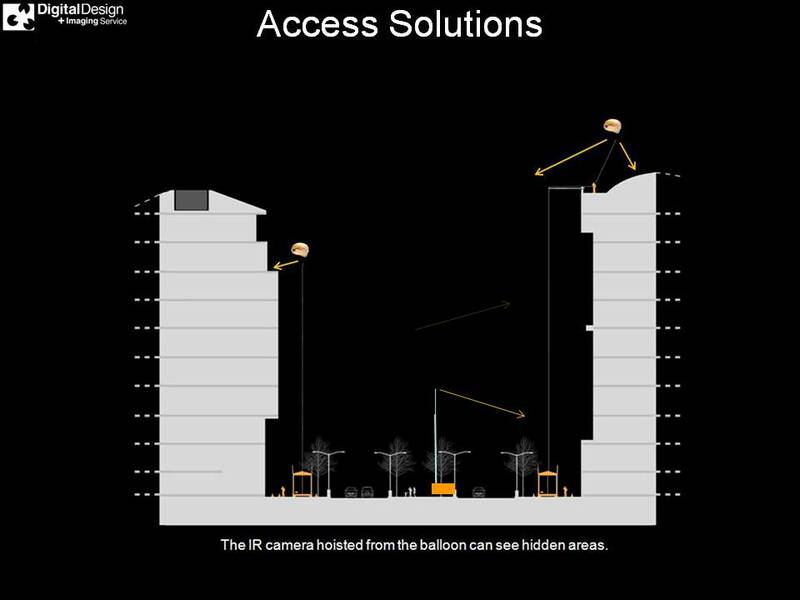 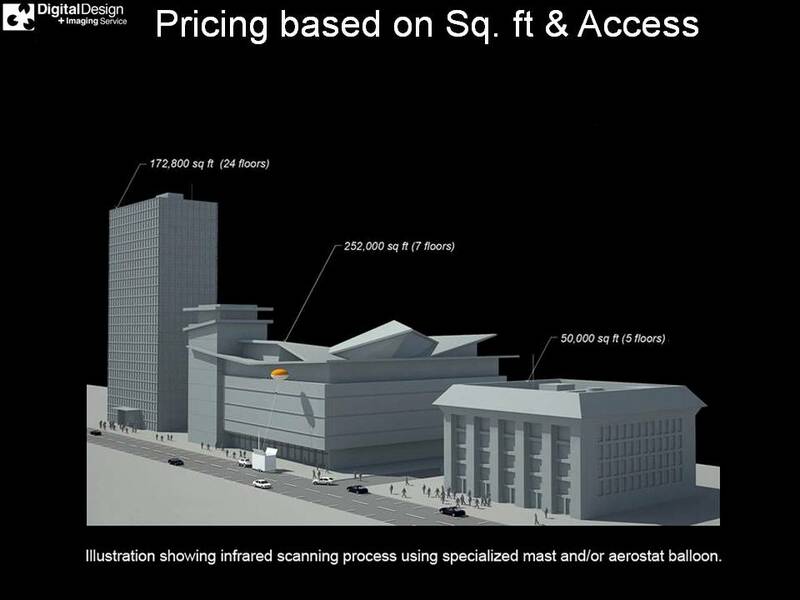 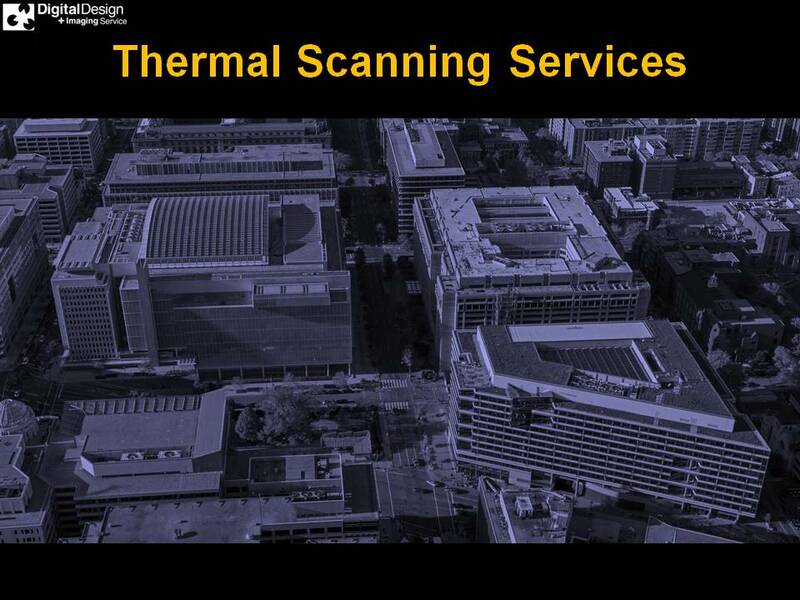 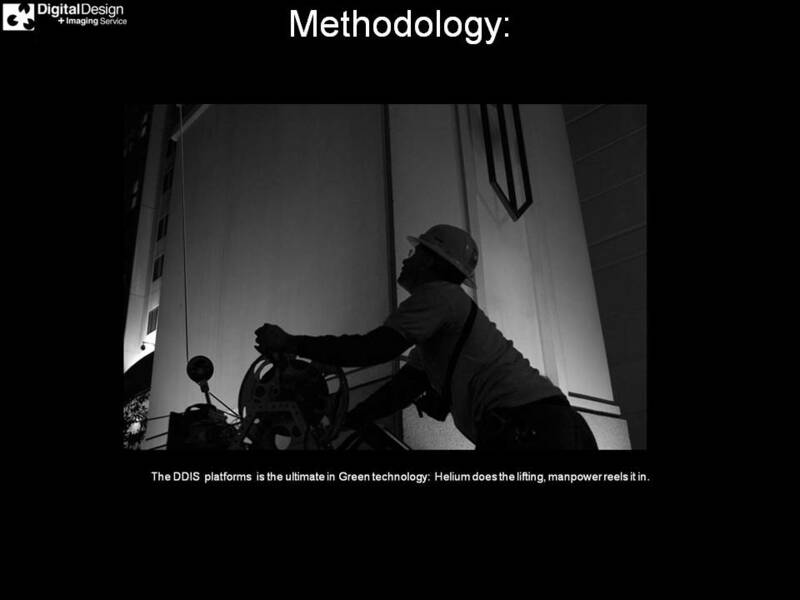 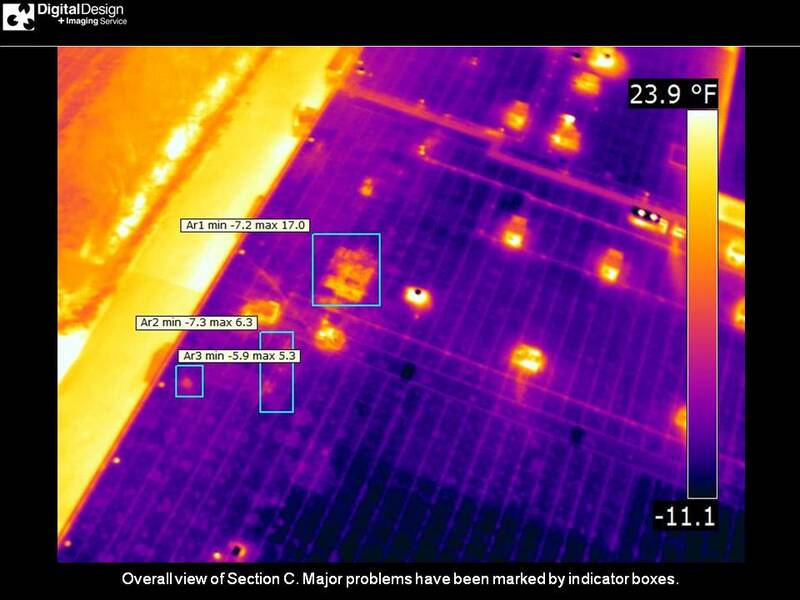 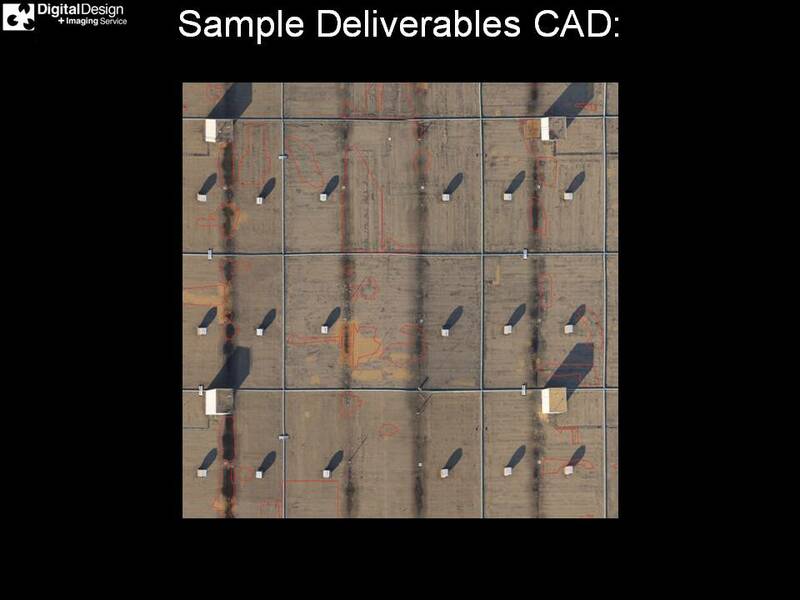 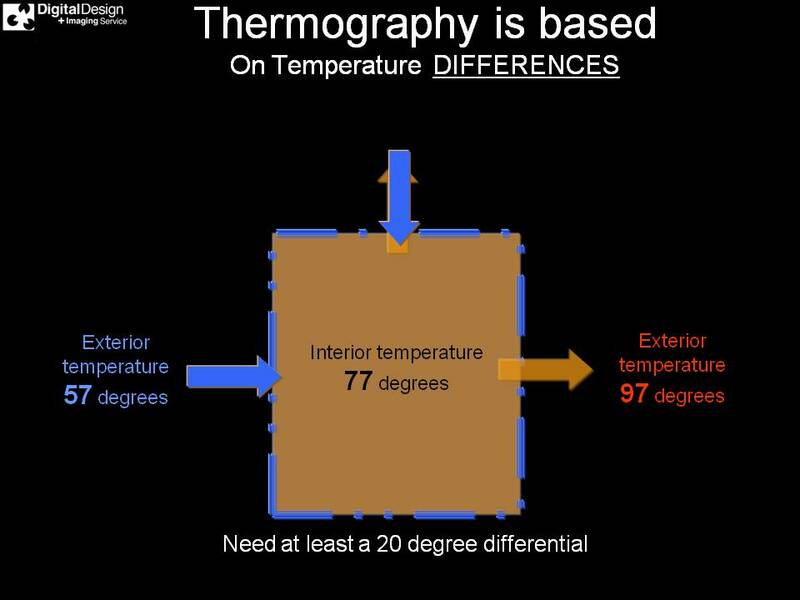 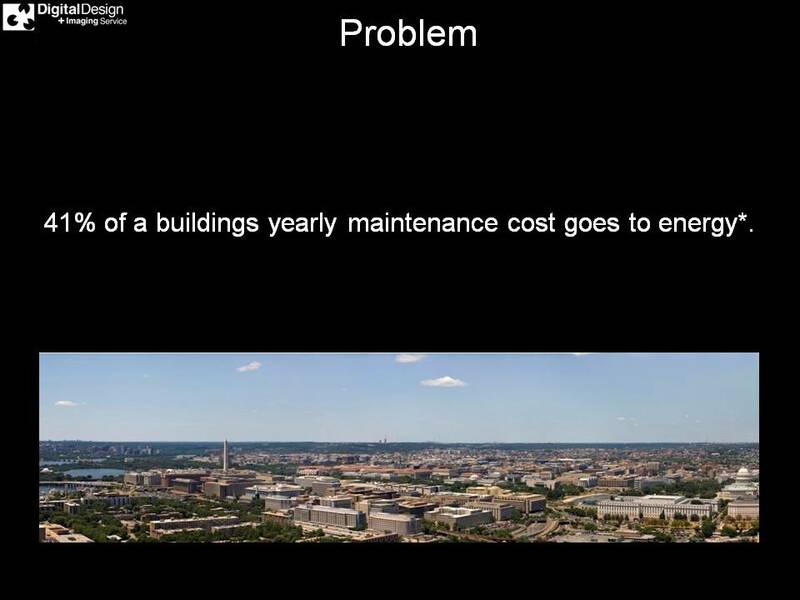 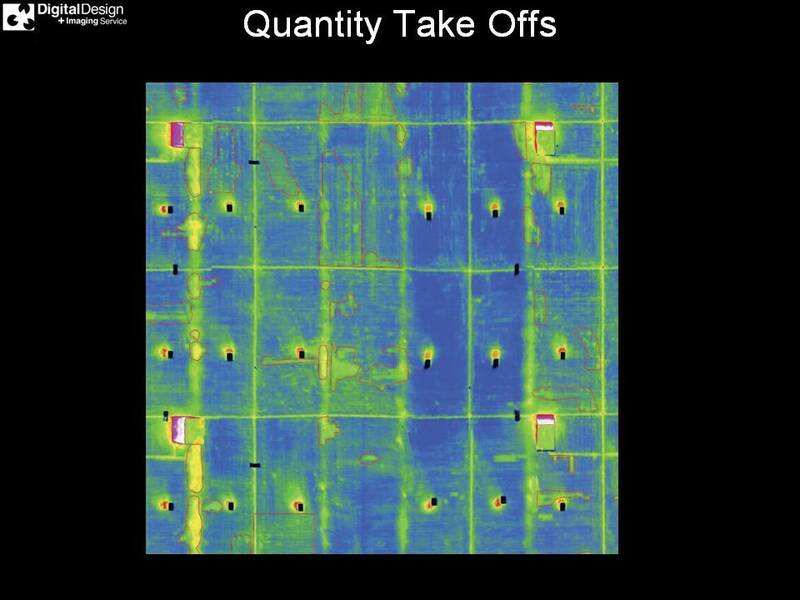 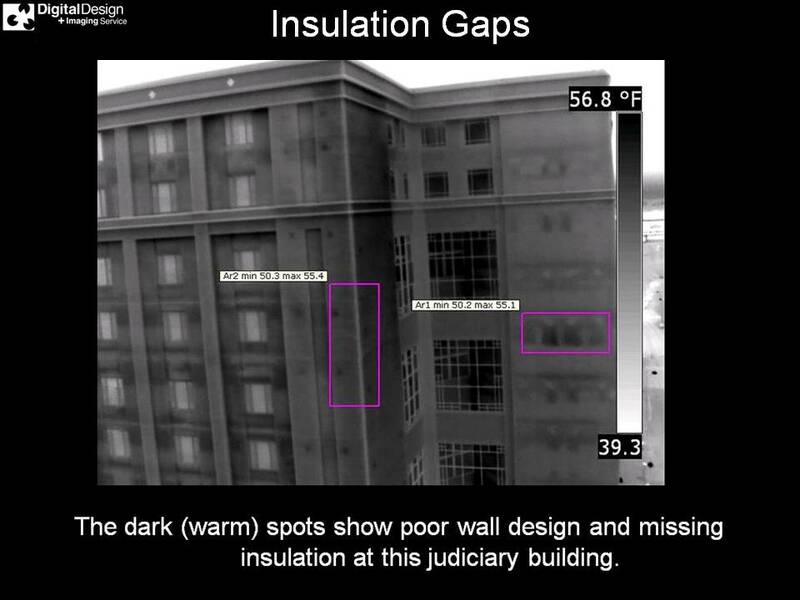 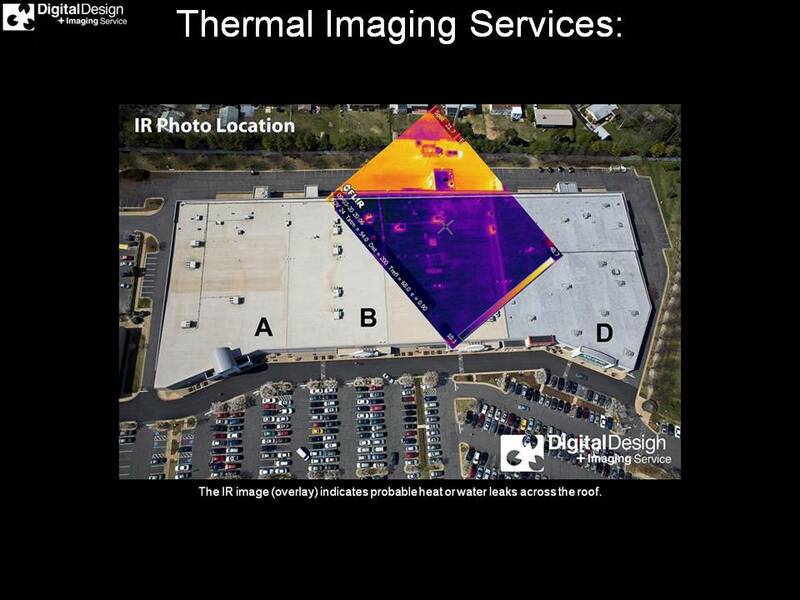 DDIS will design and implement a custom IR capture strategy for each building envelope we analyze. 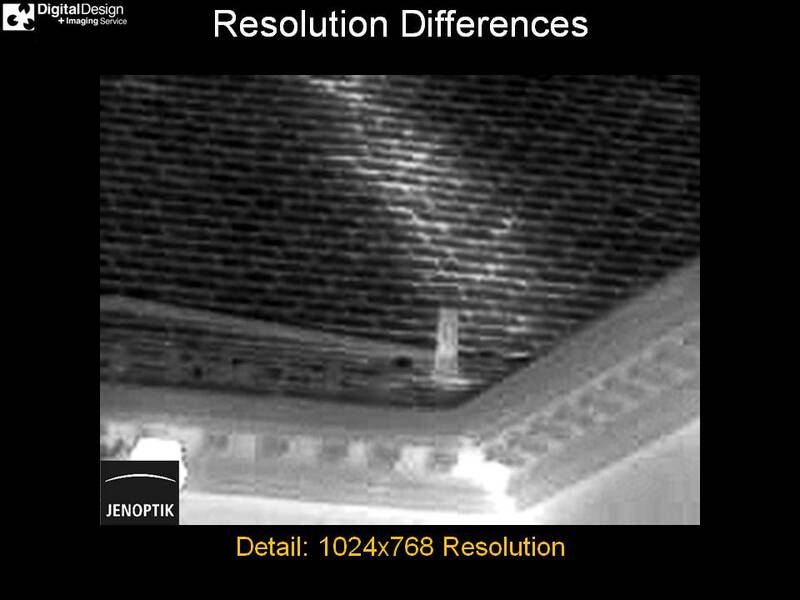 This often means dividing the facades and roof into sections, which are then documented with thermal imaging and visible spectrum photography. 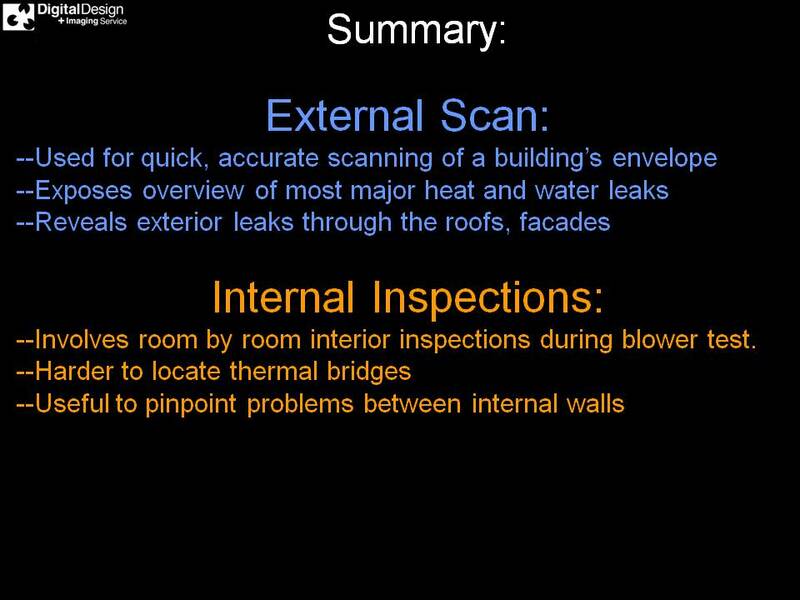 • Large-Scale Exterior Building Envelope (Rooftop and Facade) Inspection. 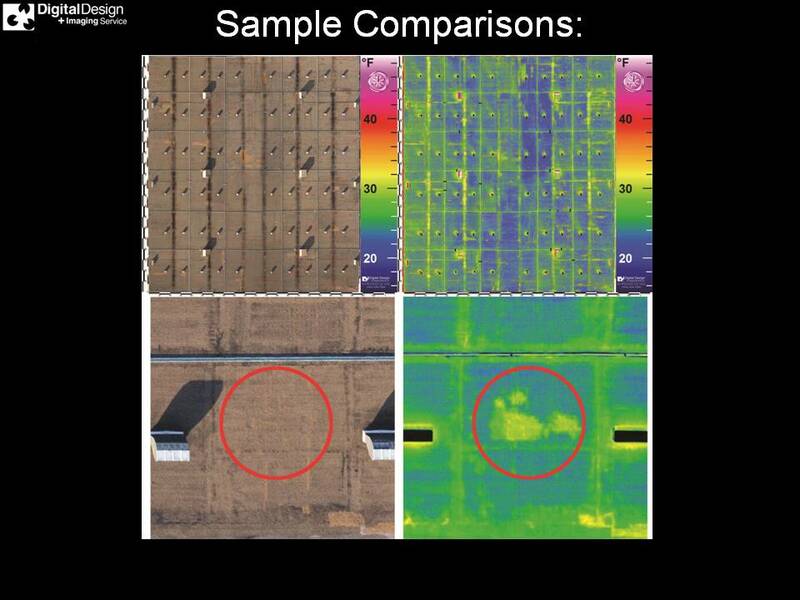 • Moisture and Heat-loss Detection.